Mark Alan Webber (born 27 August 1976) is an Australian Formula One driver. After some racing success in Australia, Webber moved to the United Kingdom in 1995 to further his motorsport career. Webber began a partnership with fellow Australian Paul Stoddart, at that time owner of the European Racing Formula 3000 team, which eventually took them both into Formula One when Stoddart bought the Minardi team. Webber made his Formula One debut in 2002, scoring Minardi's first points in three years at his and Stoddart's home race. After his first season,Jaguar Racing took him on as lead driver. During two years with the generally uncompetitive team, Webber qualified on the front two rows of the grid several times and outperformed his team mates. His first F1 win was with Red Bull Racing at the 2009 German Grand Prix, which followed second places at the 2009 Chinese, Turkish, and British Grands Prix. By the end of 2009, Webber had scored eight podiums, including another victory in Brazil. His eight podiums in 2009 compares to only two podiums in the first seven years of his career. He has since added ten more podiums in 2010, including victories in Spain, Monaco, Britain and Hungary. Webber finished the 2010 season in third place having led for a long period, losing out to teammate Sebastian Vettel in the final race of the season. Webber added another race victory in the 2011 Brazilian Grand Prix, as he once again finished third behind champion Vettel and runner-up Jenson Button. 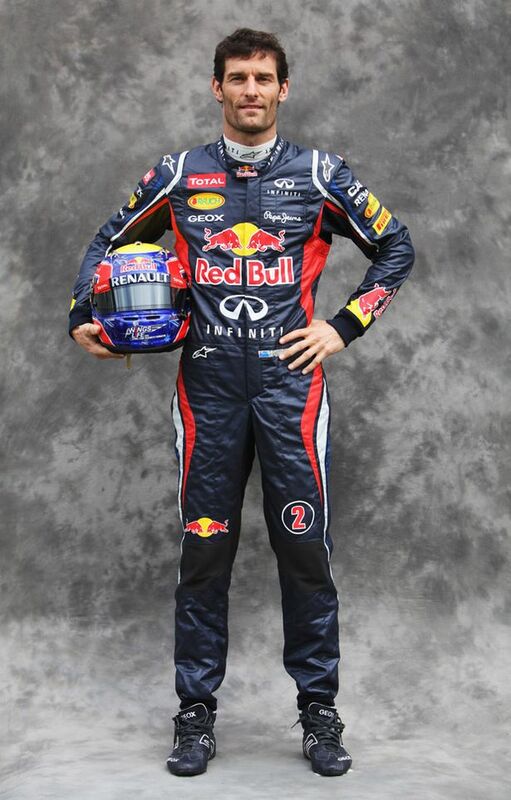 Webber again partners Vettel again in the 2012 season, his sixth with Red Bull.